A prestigious Customer Service Excellence Award has been won by Blaby District Council for the third year running. External assessors Anne Quincey and Neil Potentier, from government-accredited company EMQC, visited the Council in February where they spent the day speaking to staff, customers and members. They also visited Fosse Meadows, A Place to Grow in Enderby and the Pavilion in Huncote to view improvements made since last year. The assessors confirmed the retention of the award for the whole Council and a highlighted a number of areas where the Council continues to consistently exceed the national standard including; work with partners, supporting local communities, excellent customer service, and delivering services that matter to the customer. 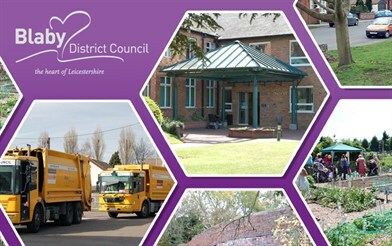 “Blaby District Council continues to provide a very high standard of service to their customers. Blaby are not complacent, and are fully intent on going the extra mile where they can for their customers. Latest figures from the Local Government Association (LGA) show Blaby District Council is excelling with how well it serves its customers. Results are available quarterly from LGInform. For more information and to track the progress of the District Council’s performance visit www.lginform.local.gov.uk.